Jerome Kern’s magnificent score is the highlight of this pared back presentation of enduring music theatre classic Show Boat. The curtain rose for the world premiere of Show Boat at 8.30pm on November 15 1927, and came down at 12.40am the next day. 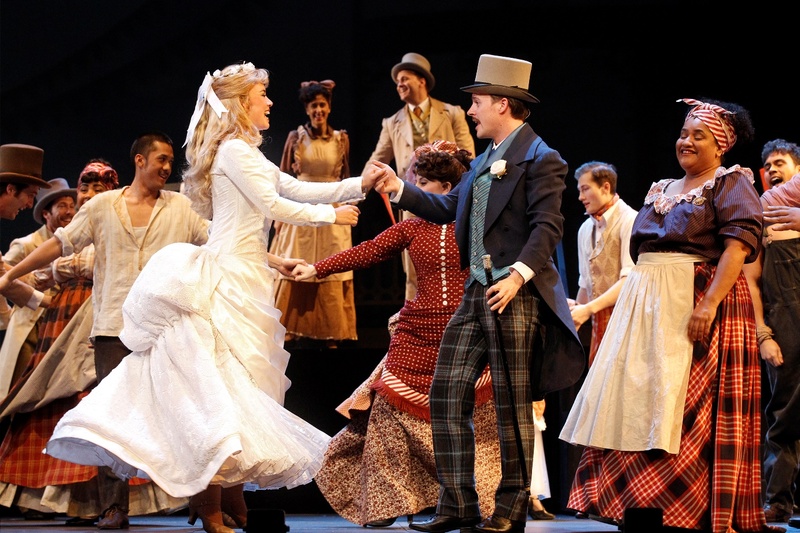 Ever since then, the much-loved musical has been adapted and revised to the point that there is no definitive version. 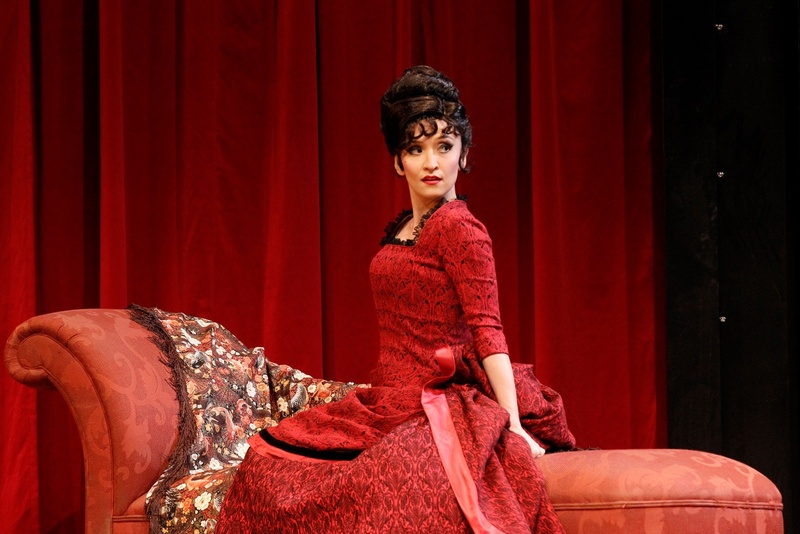 The Production Company’s decision to use this 2011 adaptation from Goodspeed Opera House makes sense on the basis of reduced length and streamlined staging, but the memory of the brilliant Hal Prince version from the mid-1990s looms large. In this version, storytelling is brisk and clear, although the concept of miscegenation, a key factor in act one, seems a foreign and distant one to a millennial Australian audience. Unfortunately, the pace does not give the instant romance between riverboat gambler Gaylord Ravenal and blossoming performer Magnolia Hawkes any time to develop, making it hard to care when they are parted in act two. 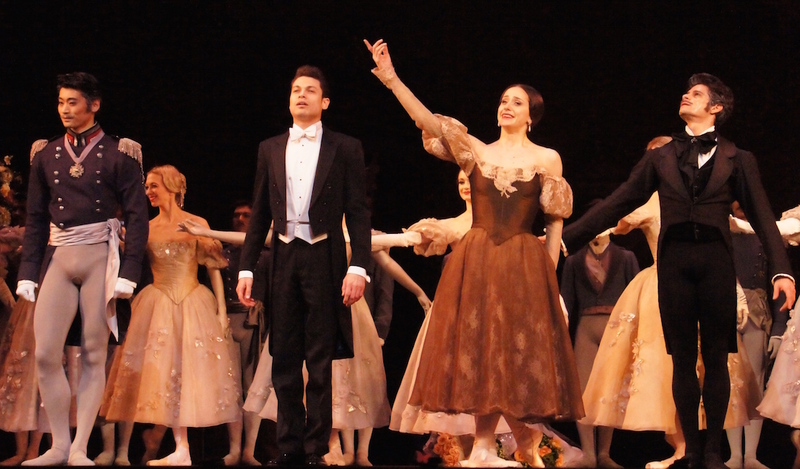 The lack of chemistry between Gareth Keegan and Alinta Chidzey, lovely singers both, exacerbates this problem. The pair of second act montages from the Hal Prince version are missed, as is the rousing 11 o’clock ensemble number “Kim’s Charleston.” The wonderful song “Bill,” a constant in all productions of Show Boat, is sung exquisitely by Christina O’Neill as Julie LaVerne, but the heartbreaking aspect of Julie’s decline is absent. This means that the show basically stops for this number, lovely though it may be. This flaw is a reflection on the input of director Rodger Hodgman, with significant sharpening being clearly needed on the tension and atmosphere of this production’s performance overall. It is acceptable that performers who played slaves are dressed glamorously to fill out crowd scenes at the Trocadero in act two, but the flagrant re-writing of history by having white and “coloured” folk dance together as couples at the act one wedding celebration of Gaylord and Magnolia is ludicrous, especially given that racial segregation is such an important theme of the show. Elsewhere, Dana Jolly’s choreography is perky, period-accurate and fun to watch. 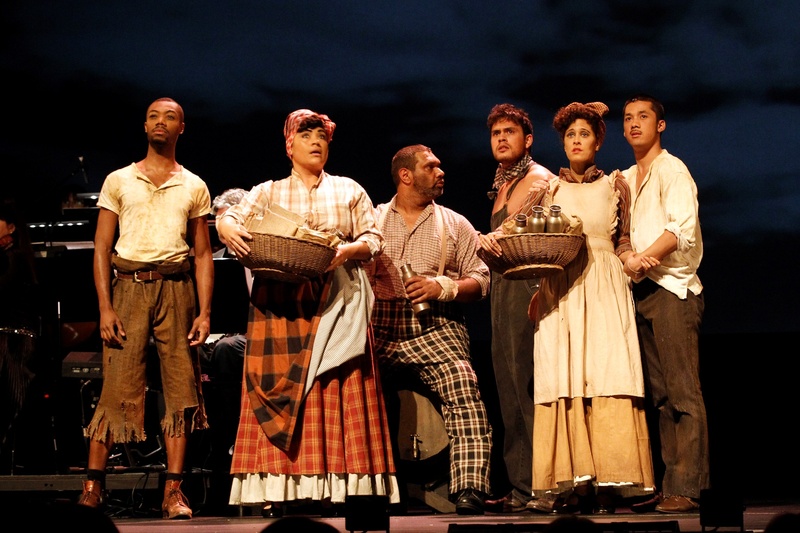 Amongst the welcome touches in music director Kellie Dickerson’s adaption of the score are the banjo and choral opening of “Cotton Blossom” and the a capella harmony section of “Ol’ Man River.” Dickerson’s precision and careful control result in a sparkling performance from 25-piece Orchestra Victoria. System Sound’s sound design is reliably pristine, and some of the voices are so strong they are basically heard acoustically, at least in the front half of the stalls. Isaac Lummis has designed a rather sumptuous set of costumes, with a range of elaborate, attractive outfits on display. The obvious amount of work that has gone into these costumes is extremely impressive. Juvenile leads Frank and Ellie have several spectacular sets of matching outfits, and Magnolia is dressed quite divinely in every scene. Phillip Gould is in his element as Captain Andy Hawkes, giving an animated, engaging performance that demonstrates full understanding of the character and period. Gould’s frisky, crisp, vaudevillian dance moves in “Captain Andy’s Ballyhoo” make perfect sense for the role (and bring to mind his excellent performance as Buddy in Follies). 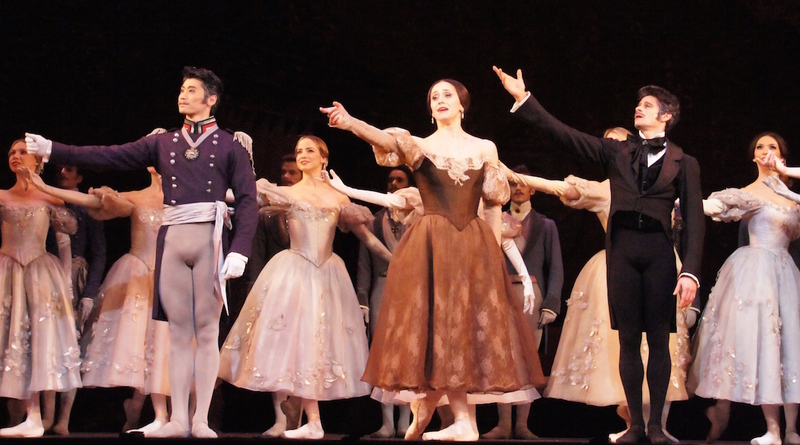 With a stage full of performers all working at this level the audience would have been blown out of their seats. Eddie Muliaumaseali’i fills the State Theatre with his glorious bass as he sings timeless hit “Ol’ Man River.” Judith Roberts provides moments of humour as crotchety Parthy Hawkes. 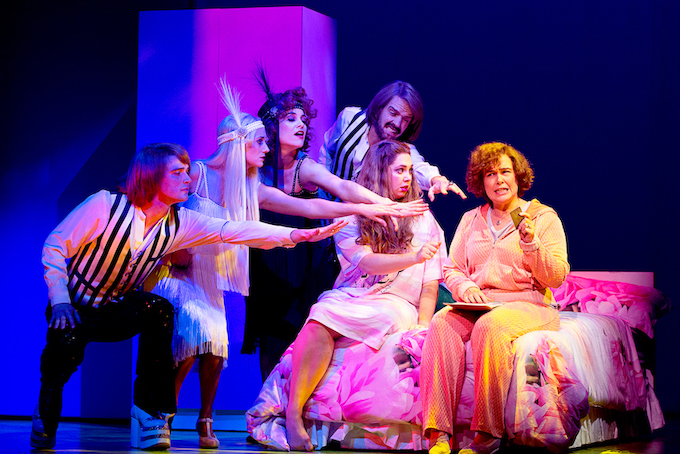 Heru Pinkasova projects a genial warmth for the little she has to do as Queenie. Nicole Melloy and Glenn Hill are a likeable pair as Ellie May Chipley and Frank Schultz. 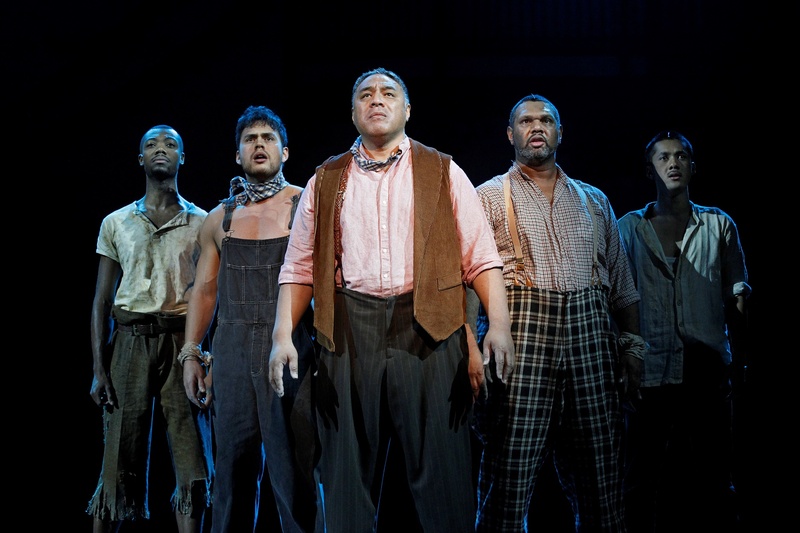 Show Boat was reviewed on 17 August 2014. 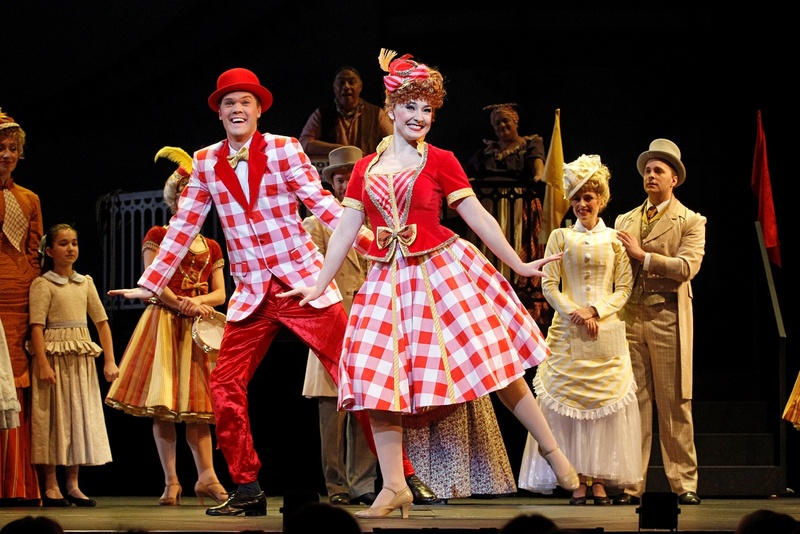 Show Boat plays at State Theatre, Arts Centre Melbourne until 24 August 2014.